There’s a reason so many people relocate to Australia. The weather, one. The friendly people, two. The stunning landscapes, three. From Sydney’s glorious skyline that takes in the Opera House and the Harbour Bridge, to beautiful Coogee, Bondi and Manly beaches, the cosmopolitan city teams cleanliness with great cuisine and lifestyle. Enjoy Melbourne’s cafe culture on the south coast as well as the Great Ocean Road with its famous Twelve Apostles. Perhaps a hop over to Kangaroo Island where you’ll find an abundance of nature and stunning ocean views. 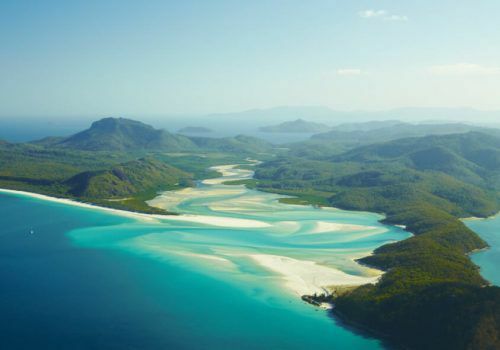 Further up the coast, you’ll find the glorious Whitsundays and the Great Barrier Reef and if you’re adventurous enough venture to the heart of Aboriginal Australia by visiting Uluru (Ayers Rock) and watching the sunrise over the majestic landscape, as well as sleeping in luxury tents under the stars. Getting to Australia can be fairly long-winded depending on where you are travelling from. From the UK, prepare yourself for around 24 hours of travel. Most people fly to Sydney via the Far East, but you can also opt to fly to Perth on the west coast or to Melbourne or Adelaide. Major airlines such as British Airways, Cathay Pacific and Qantas fly to Australia. There are direct flights from Los Angeles to Sydney. The dreamy landscapes of Australia combined with its beautiful coastline is what makes this country extra special. The home of great beaches, fantastic weather and friendly people, Australia is the perfect destination for those looking to escape down under. 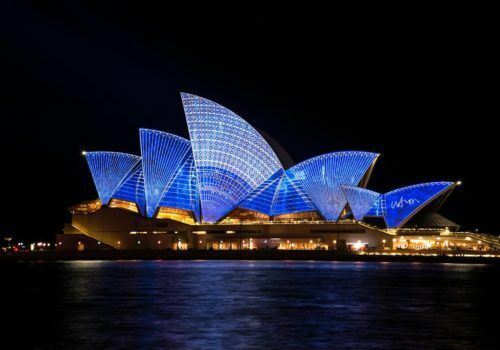 From Sydney with its iconic Opera House and cosmopolitan nightlife and culture, to the stunning Great Barrier Reef to the east of the country you’ll find an abundance of activities and a wide variety of places to visit. Everyone tends to fly into Sydney as a starting point. Visit the iconic Opera House, climb the Sydney Harbour Bridge or chill out on one of the area’s iconic beaches such as Bondi, Manly or Coogee Beach. A lot of people also visit Melbourne to soak up the cafe culture and to visit Neighbour’s iconic Ramsey Street (which is actually a real life street called Pin Oak Court). Lots of people will visit the Great Barrier Reef on a holiday to Australia. 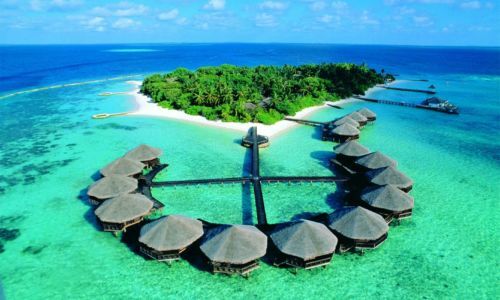 Opt to dive amongst the coral and marine life or simply relax on a boat as you soak up the Australian sunshine. Some people, mainly backpackers, choose to hire a camper van and drive along the coast or into the outback. There is an increasing number of glampers though with retirees being a popular demographic for getting a luxury camper van and heading out onto the road. Some people also decide to visit Uluru – or Ayers Rock – which is in the middle of the outback. A vast sandstone monolith in the heart of the Australian desert, it’s a sacred site for indigenous Australians. From Melbourne, quite a lot of people choose to visit the Great Ocean Road. It’s the location of the 12 Apostles, rock formations which burst from the ocean. The road is almost 250km long and has some of Australia’s most breathtaking views and landscapes. Very few people visit Kangaroo Island, not far from Adelaide. Much of Kangaroo Island is nature reserves, where you’ll find a wide range of wildlife such as sea lions, birds, koalas but also in the west of the island you’ll find the Flinders Chase National Park is known for its stunning penguin colonies. Another sight that very few people make it to is the opal mining town of Coober Pedy in the middle of the Outback. The whole town feels like stepping onto the planet Mars and it has a population of just 1700 people. Most of its residents live underground homes called “dugouts”, built this way to keep the residents cool from the searing temperatures in the area.